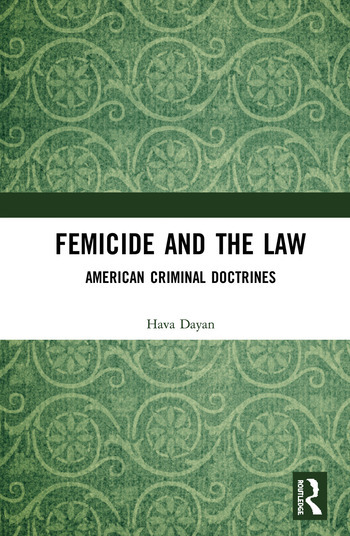 This book explores femicide, and scrutinizes the three key American criminal doctrines usually applied in its cases: provocation; the felony murder rule; self-defence. The book also explores the influence of the American Model Penal Code, and proposes, connected to the various criminal doctrines applicable to femicide, a focused and detailed amendment to the Code containing unique features and a formula providing a socio-legal response to issues that the author believes have not yet been adequately addressed. Though primarily focused on femicide in America, the issues discussed are of global relevance due to the tragically widespread nature of femicide, and the book also makes significant contributions to the legal discourse of many other countries with similar legal structures.